Indiacsr Best CSR Case Study Award 2014 – Sesa Football Academy wins best CSR Awards in promotion of sports in rural areas. Excellence Gold Award in the Education Category by Green Triangle Society - 2012. Gold Medal for Excellence in Community & social welfare by Green Triangle Society’s CSR Excellence & Safety Awards – 2012. CSR excellence award by Green triangle society in 2010 & 2011. National award for Excellence in water management 2010 “Beyond the Fence” by CII – Godrej. Best CSR practice Award at The Navhind Times, Viva Goa Achievers Award 2010. 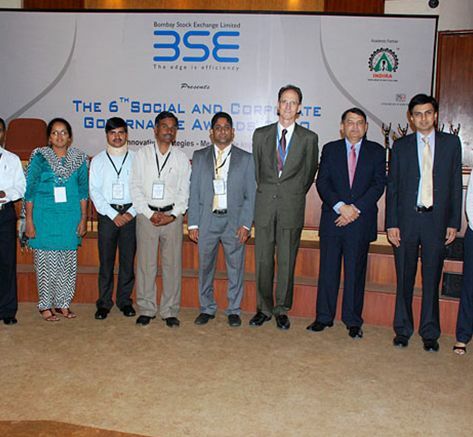 Best CSR practice Award for Alternative Livelihood Opportunity Project (ALOP) project at BSE in 2010.